I didn’t wanna admit to this bc, well, it’s embarrassing. But I feel like sharing this might make some of you feel better about a recent mishap. I recently bought a mustang, maybe in like August. Brand (2015) new, white Mustang. Premium interior, cream & black leather seats, touch screen – the works, ok? I saved for what felt like an eternity for a down payment and bought it. It was my pride and joy. I wouldn’t let anyone eat or drink in it. I was a obsessed, to say the least. 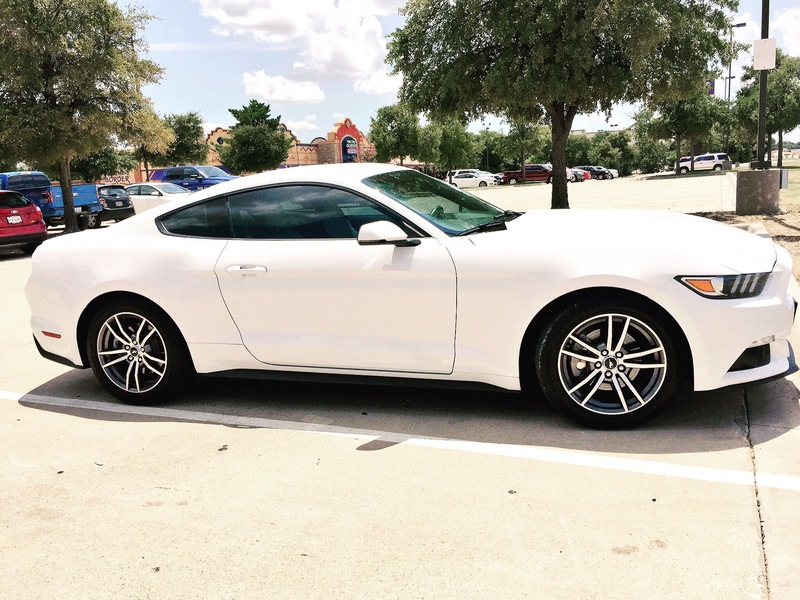 Somewhere around October – 2 months into my new life as a glamorous mustang owner, I relied too heavily on that stupid backup camera and didn’t check my blind spot. I scuffed my sisters Honda parked next to me in the driveway. I was angry at myself and my situation. I feel like I always have the worst luck. On my way to work that same morning, traffic slowed to a stop, because I take I35 everyday 🙄 and on the side of the road was a man. The man reminded me a lot of my great grandpa. Elderly, Hispanic man, standing with his hands on his hips walking around his old beat up Chevy that I’m sure had a lot wrong with it. I could see he was in distress. He was on the phone, presumably calling a towing service or maybe a family member to come help him out. And in that moment, I realized how truly blessed I am. I was angry about a scuff on my brand new mustang – my mustang that doesn’t have any mechanical issues. I immediately felt like an ungrateful brat. My message isn’t to always remember that someone else may have it worse. It’s simply to count your blessings. Be happy you have a nice car that runs fine. Be grateful you have an iPhone to shatter. And most importantly, don’t lose sight of the non-material things – like your relationships and your friends and family. I made a handful of resolutions for the new year, and one of them is to count my blessings.